When does a house become a home? When you fill it with treasured memories of your dearest friends and family. 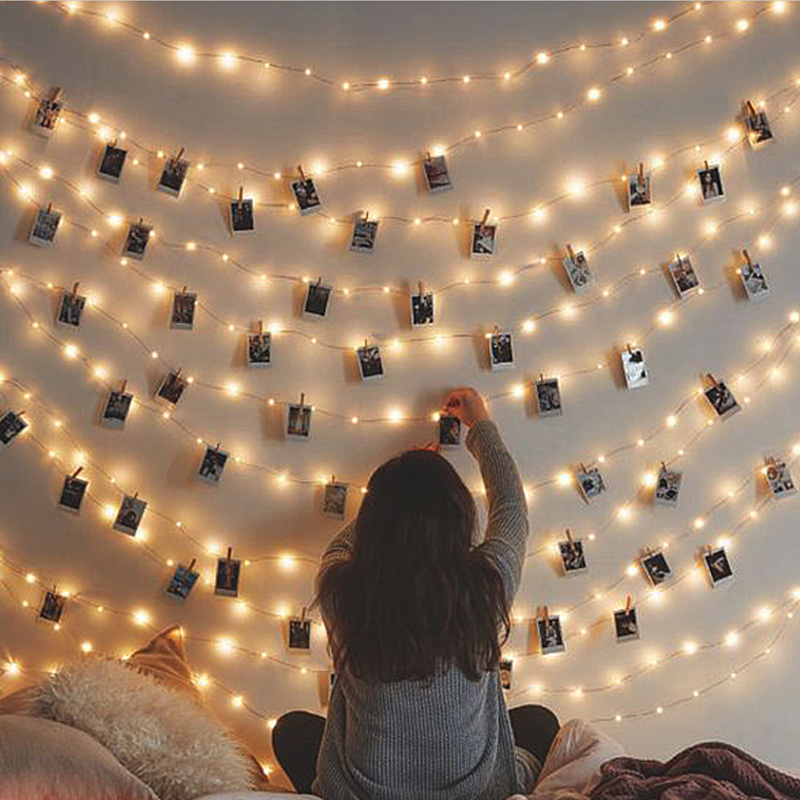 These festive lights are useful all year round, bringing celestial lighting and displaying your loved ones and happiest moments in a fan fare across your living room or bedroom. 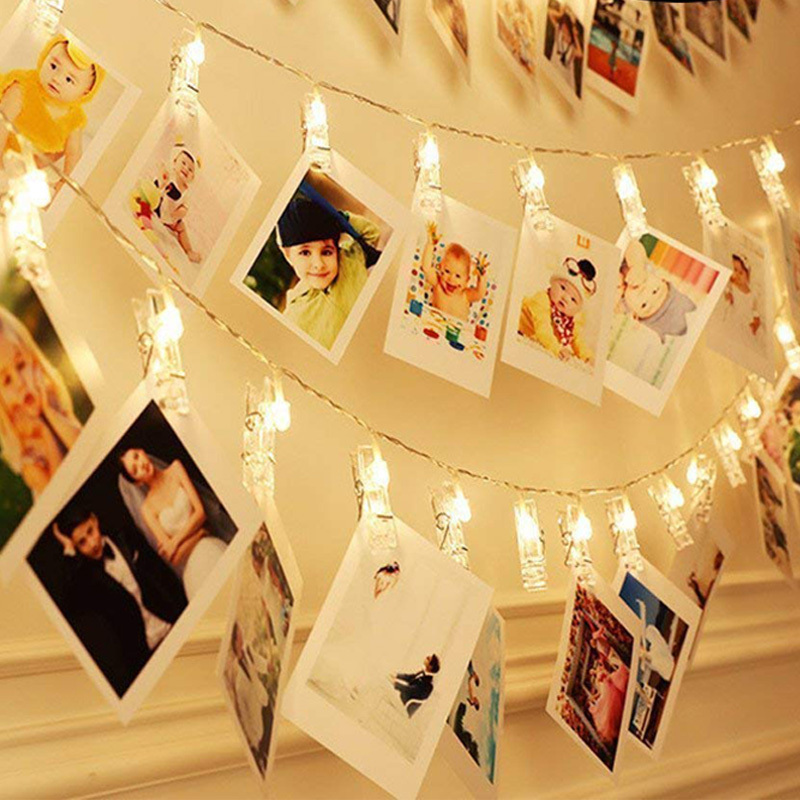 Choose these simple plain white string fairy lights with photo clips to add class, spirit and personal memories to your room. 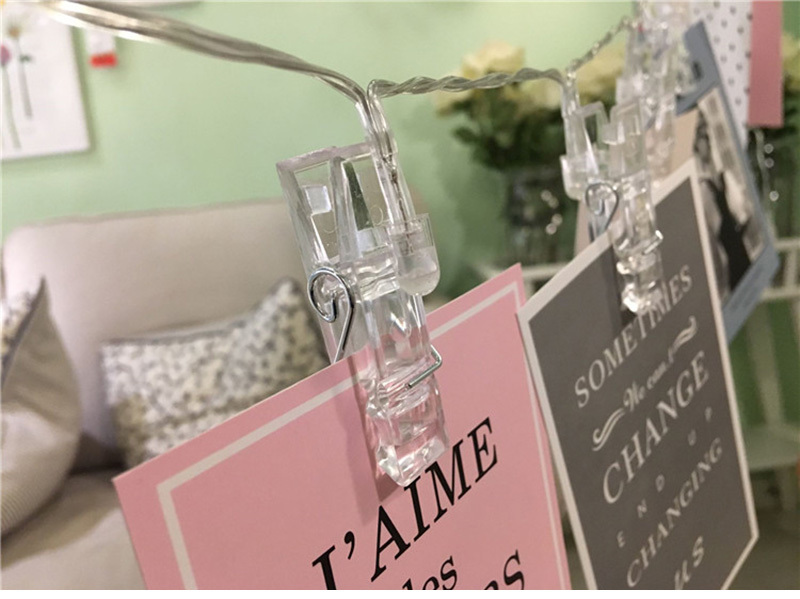 Perfect for hanging around any of our tapestries or deco for a baby shower! Arrived in 2 days from US delivery. Beautiful. Thank you. Love it :) one of the pegs fell off but should be easy to glue back. The product came very fast.It is as described on the site .Only the wire was little entangled,rest all is good.Excellent Seller and product. Super fast delivery, in nice box and all works. Lights very nice, very happy thank you! Love it, it's so beautiful, took like a month to arrive, but I'm so happy. JUST IN A TIME, READY FOR BDAY DECORATION...MANY THX FOR IT :)), EVERYONE LIKED IT..
what a speedy service. LOVE it!! great product as well.